Welcome to our final Thankful Thursday report of 2011! What a year it's been....we are so grateful for the support of so many crafters and donors across the nation - wow! Your final reminder: If you want to make one more year-end financial donation, please do so by midnight December 31. Paypal is available as a last minute option - there's a link here. The questions are beginning - "Can I write cards off on my taxes?" While we can't give you tax advice, since we're not tax professionals, some general guidance: think of it like any item donated to any nonprofit, like Goodwill. The IRS sees that as a donation, and you and your tax preparer decide on the value; the organization gives you a receipt for the items you give. You've had receipts emailed to you over 2011; we'll email a year-end summary in a few weeks for you. And now....the list from this past week! IMPORTANT: read note about spring holidays! Merry Christmas Eve Eve Eve! 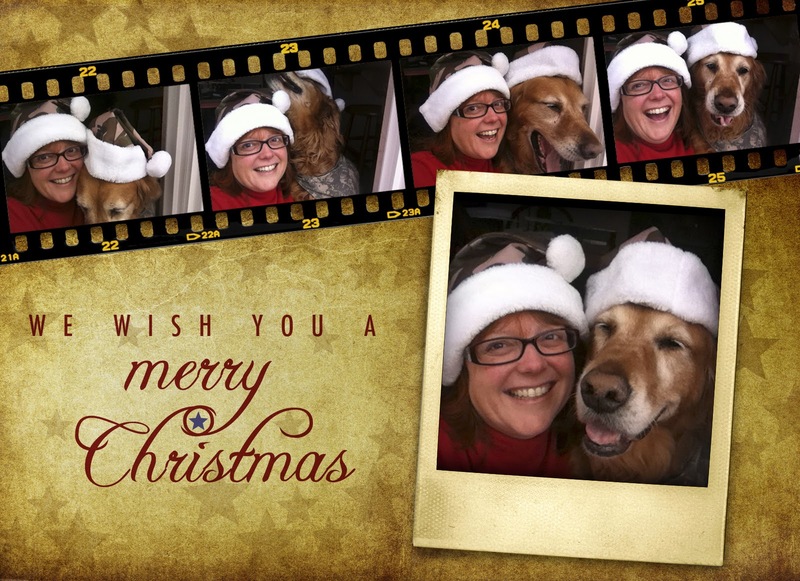 Yes, when I was a kid I counted all the eves :) So Merry Merry to one and all! Thank you for making Christmas merrier for our heroes and their families by sending in your beautiful cards, and helping with those shipping donations to get them mailed out. OWHers are the BEST! Ciara made Santa's list - click to check out the video evidence! A quick reminder: the end of 2011 is coming up! Many people like to make a final donation for tax purposes at the end of the year - your donation must be received on or before Dec 31st to count toward 2011. Thank you for your generosity! 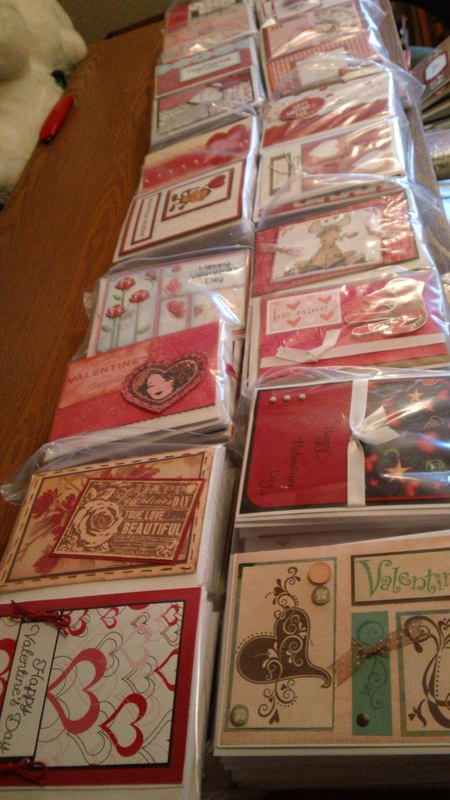 This week 12,592 cards were mailed out - at a cost of $851.45! Many of these were Christmas AnyHero mail, and may or may not arrive in time for Christmas Day, but will be loved nonetheless. Many thanks to all who wrote notes for our heroes this holiday season! We're staging valentines that will be matched up with cases of cookies from Archway...here's the west coast batch, ready to meet up on that hot date with cookies...and a honeymoon in Afghanistan! And now...many thanks to all those who sent in cards this week! We love you! We did it - we went over 5000 cards in the Archway Challenge!! WOOHOO! Congrats to our heroes who are the real winners - they get COOKIES! And in case you missed it - don't forget to check out the weekend vlog - you might win some stamps if you get a comment in by tonight! We're nearing in on the Archway Cookie Challenge deadline - and all the folks listed this week are helping us get step by step closer to the 5,000 card goal! Thank you!!! PS Don't forget to check out the Stars and Stamps blog today - a special announcement about La-La Land Crafts! 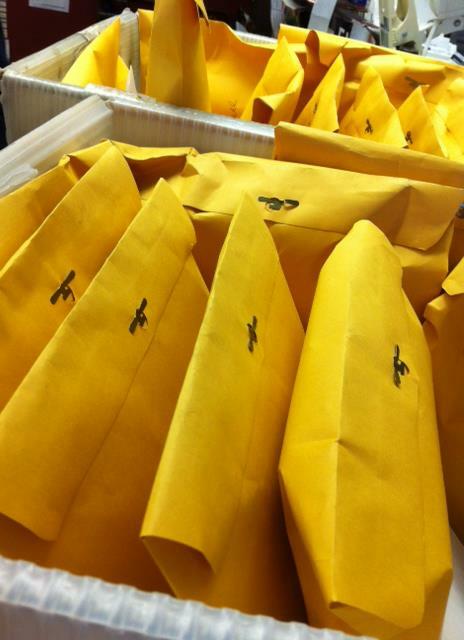 This week 7,245 cards were mailed out - at a cost of $293.85! Not bad for a slow week at OWH! ;0) And for those wondering - our current total for the Archway challenge is 1346...we have a way to go this week!! Did you see this weekend's vlog? 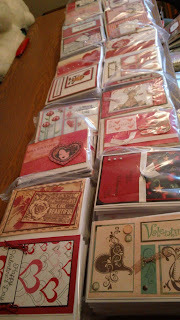 Call Hollywood, cardmakers need their own movie! Sneak peek at tonight's OWHtv card share! Happy DECEMBER! Can you believe it's already time to start that 25 day countdown!? We do have a shorter countdown to get rolling on - that's a TEN day count....to our Archway challenge deadline! We're only at 1346 valentines so far...so we have a long way to go to get to 5,000. But we KNOW you can do it! 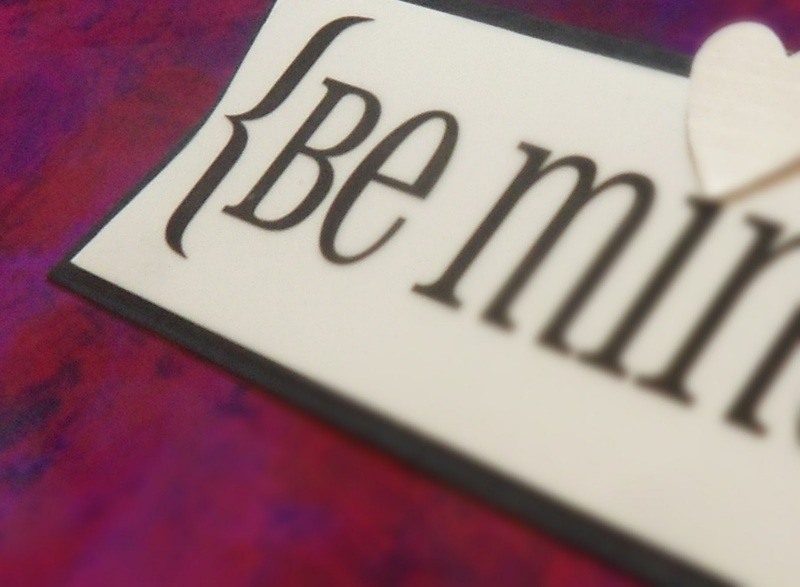 Remember that you can also send valentines til December 31st, so if you do miss the 10th deadline, you're still ok to get them done in time. If you're worried about getting to the post office that last week of the month, focus on "love" cards that'll be ok if they're a wee bit late!